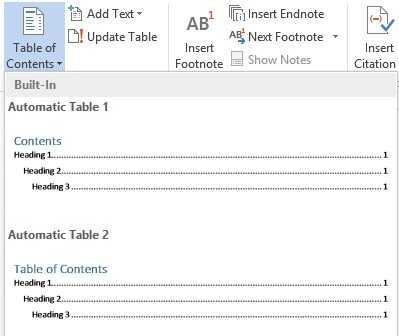 Microsoft Word is a complete tool for publishing, apart from typing your manuscript, you can also use it to automatically generate your TOC - Table of Content, build index and so on. 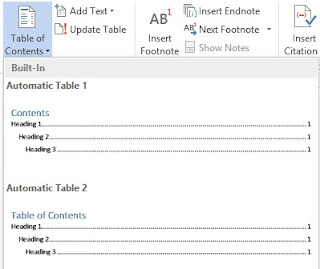 Today, I will be sharing with you a stress-free way of generating the table of content for your manuscript on Microsoft Word. Use heading 1 Tags for your chapter titles; simply highlight the title and click Heading 1 under the Home category at the top of your screen. Use Heading 3 tags for other important items you want to include under the subtitles in your table of content. Go to the item you wish to add or remove in your manuscript, highlight the words and format it with the required Heading Tag or remove the already placed Heading Tag. Go to REFERENCES > Beside Table of Contents Tab, click Update Table and your TOC will automatically update itself to reflect your changes. I hope this was helpful, your questions and other contributions can be made via the comments box below this page. Cheers!